VIDEO Update from Cheyenne on Second Amendment Fight! It was a huge week in Cheyenne in our fight to end ‘Gun Free Zones’ and fix our pre-emption problems. The Senate voted to stick our bill, SF 75, into the Senate’s most hostile committee. We have an impending Senate Judiciary Committee vote, and we have a House companion bill in the works with almost three dozen cosponsors. 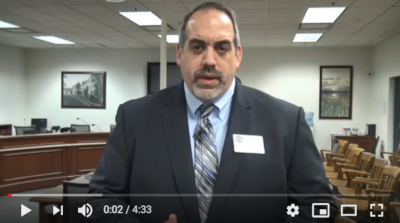 With so much going on, I’ve asked our Policy Advisor, Aaron Dorr, to produce this video update so that you can help us fight back in Cheyenne! >>> Share this video with any pro-gun friends and family members that you have, so they can take action, too. >>> Join Wyoming Gun Owners as a member today. We have a lot of lawmakers in Cheyenne who talk about being pro-gun, but then do the bare minimum once safely in office. Gun owners elected these legislators, so now it’s time for Wyoming lawmakers stand up and fight for us! Please take action right away! P.S. It was a very busy week in the fight for gun rights in Cheyenne, and already Senate leadership is trying to tank pro-gun legislation. Please watch our video update to get the latest information. When you’re done, take action right away using the information and pre-written emails we’ve provided above! As a gun owner and a voter in Wyoming, I am writing to urge you to advance Senate File 75 through the Judiciary Committee with no weakening amendments! This legislation would repeal deadly ‘Gun Free Zones’ that leave me and my loved ones helpless in the event of a violent attack. firearms policies — ensuring innocent gun owners don’t get ensnared in spurious legal charges. With dozens of lawmakers backing this popular bill, and Governor Gordon on the record saying he would sign this into law, please advance this bill right away — with no weakening amendments! Wyoming Gun Owners assures me that they’ll let me know the status of this bill, and who is supporting it. Senate Committee Kills Gun Bill!